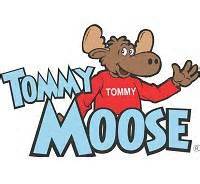 Tommy Moose is one the most successful and effective community service programs we have in the moose. 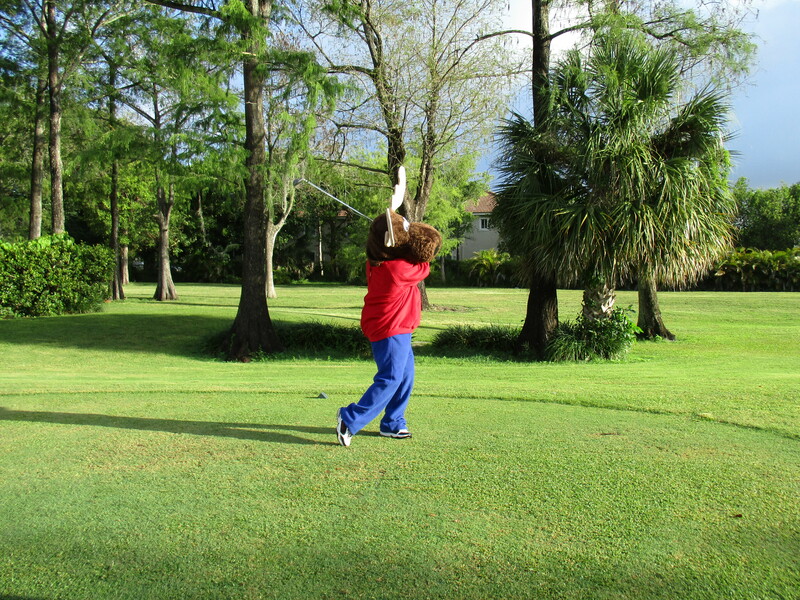 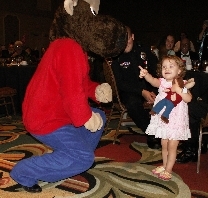 Tommy Moose has a heartwarming, friendly, playful, and cuddly moose doll whose sole purpose is bringing comfort to a child. 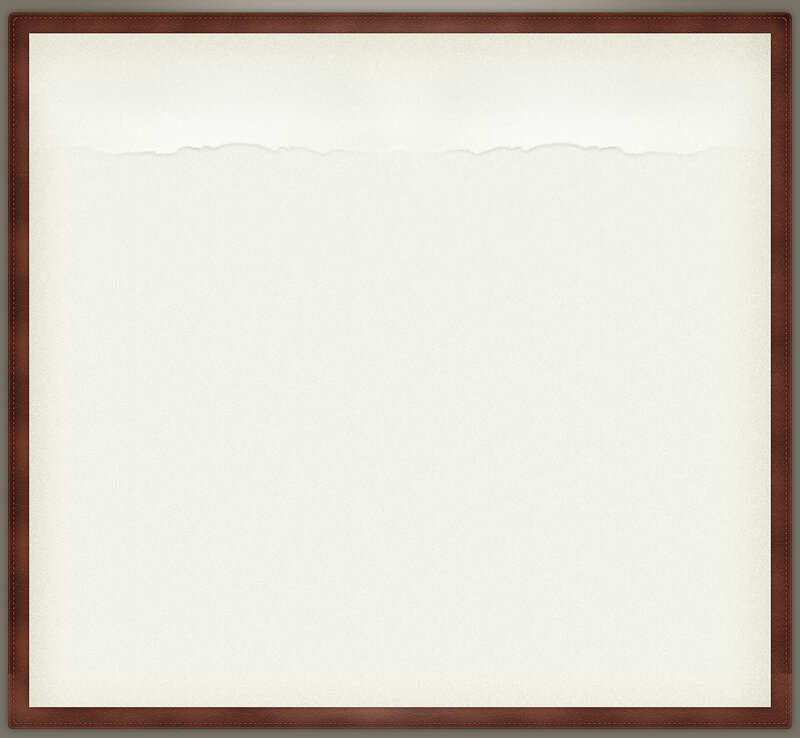 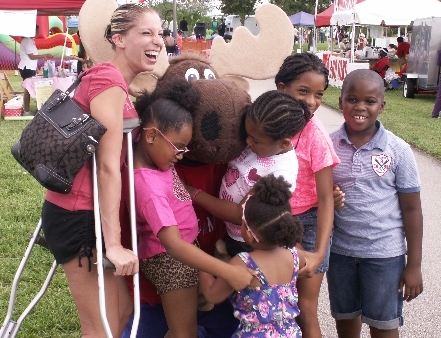 When a child experiences a traumatic event like domestic violence, a natural disaster, an accident, or maybe a fire, helping these kids begins at the scene of the event. 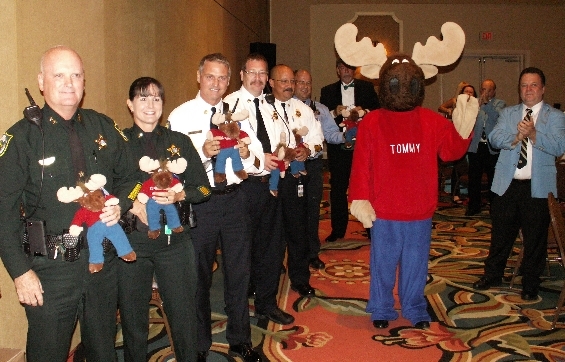 Helping the child combat the fear, helplessness and anxiety that they may feel, the men and women of Lauderdale Lakes moose do just that by supplying First Responders with the Tommy Moose Dolls. 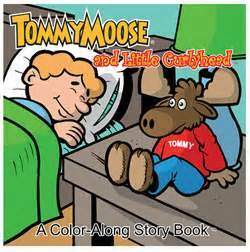 The Tommy Moose character also includes a color along story book that when Lauderdale Lakes Tommy Moose visit’s the hospitals he gives the kids a coloring story book and crayons. 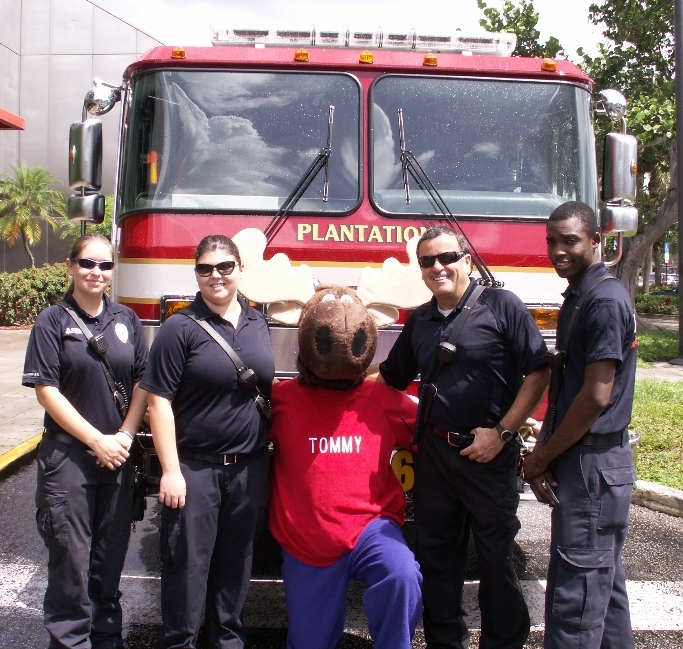 The program also includes a bookmark with internet safety tips on it. 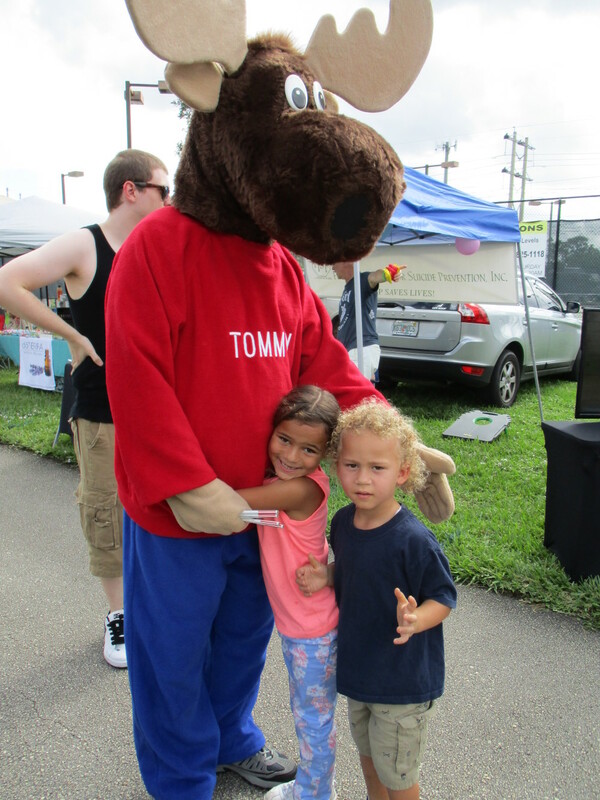 Tommy is all about comfort and safety for children. 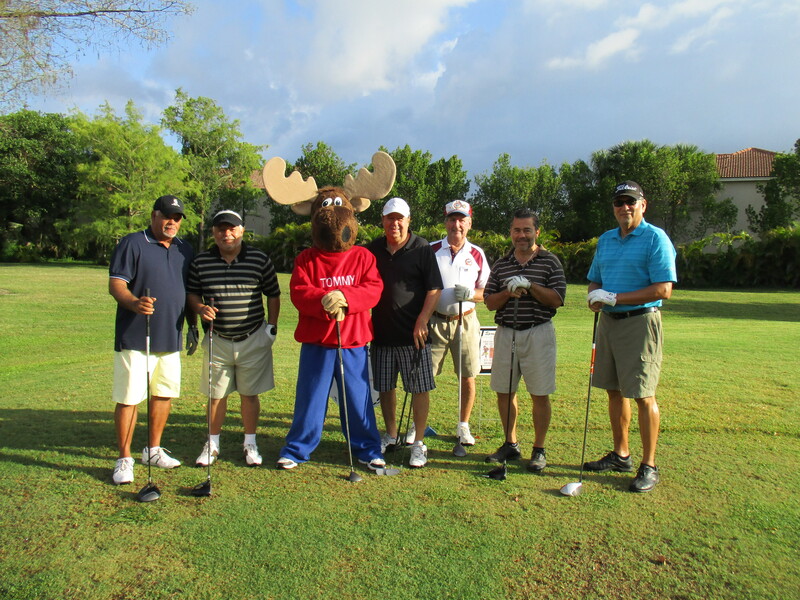 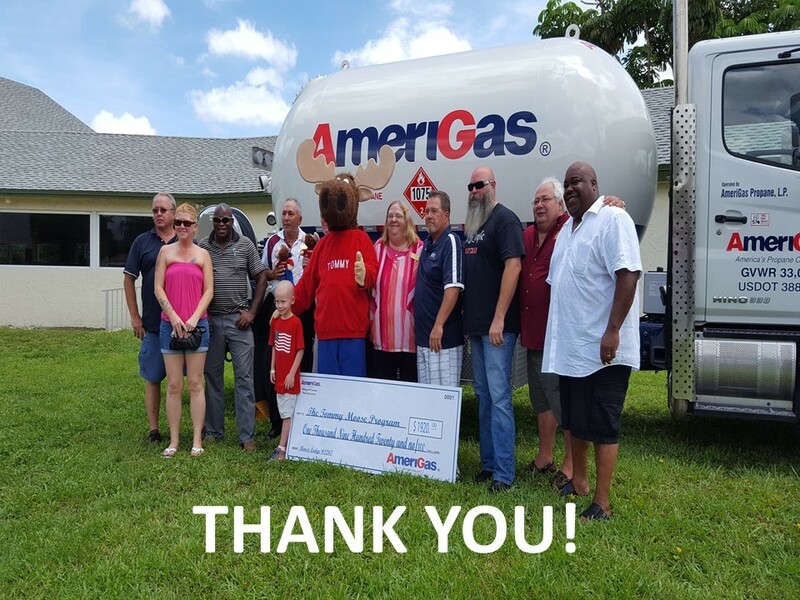 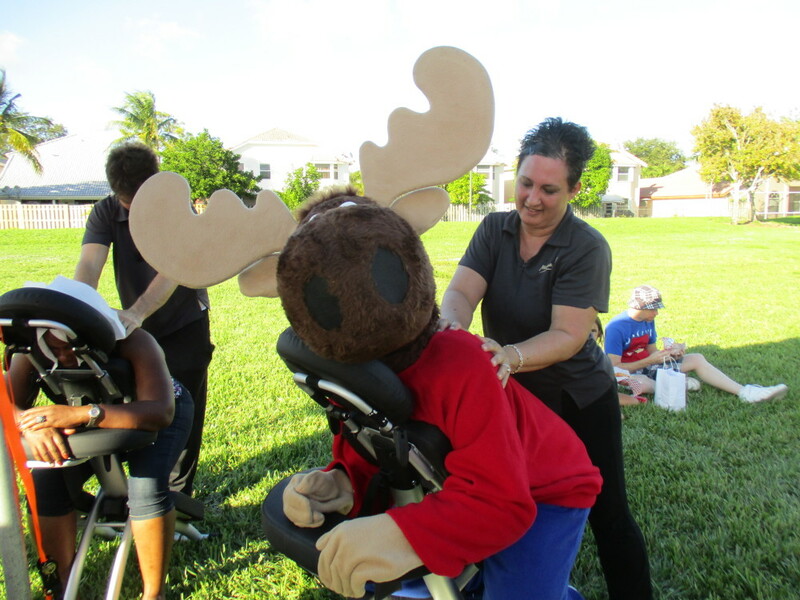 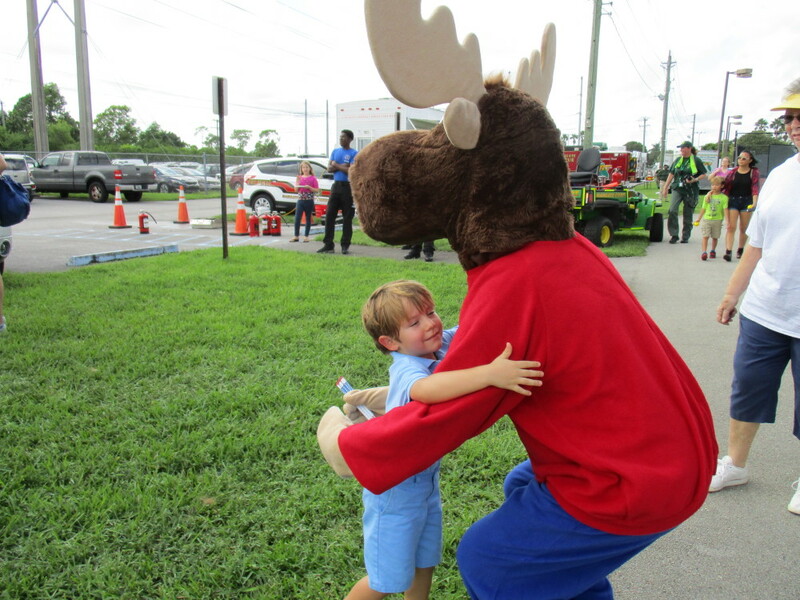 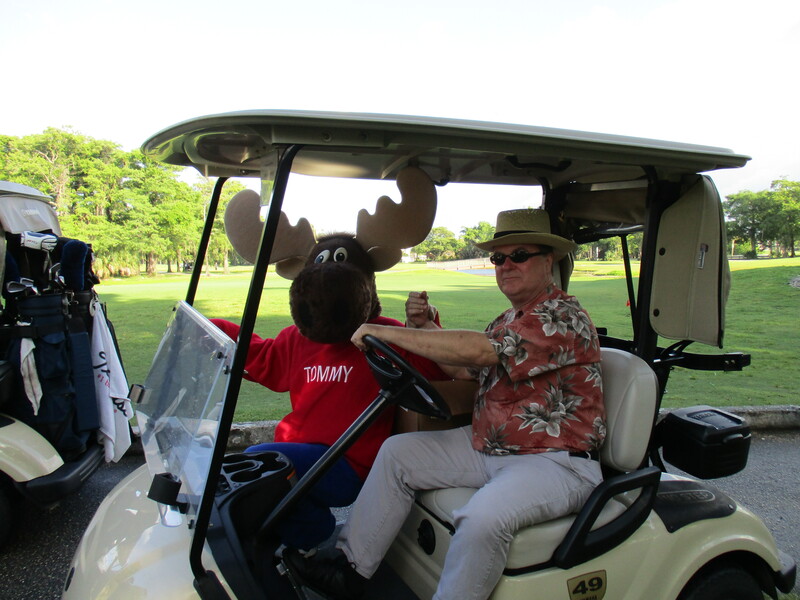 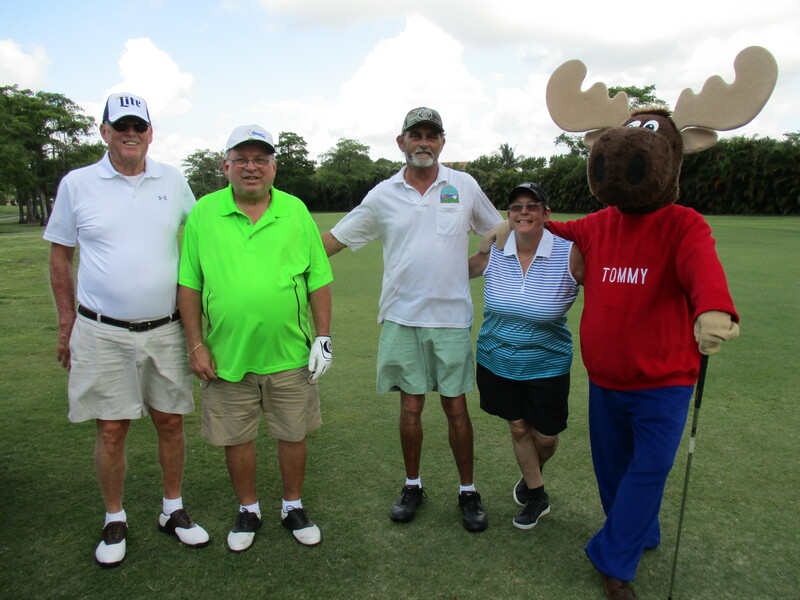 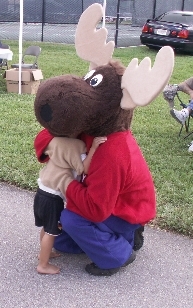 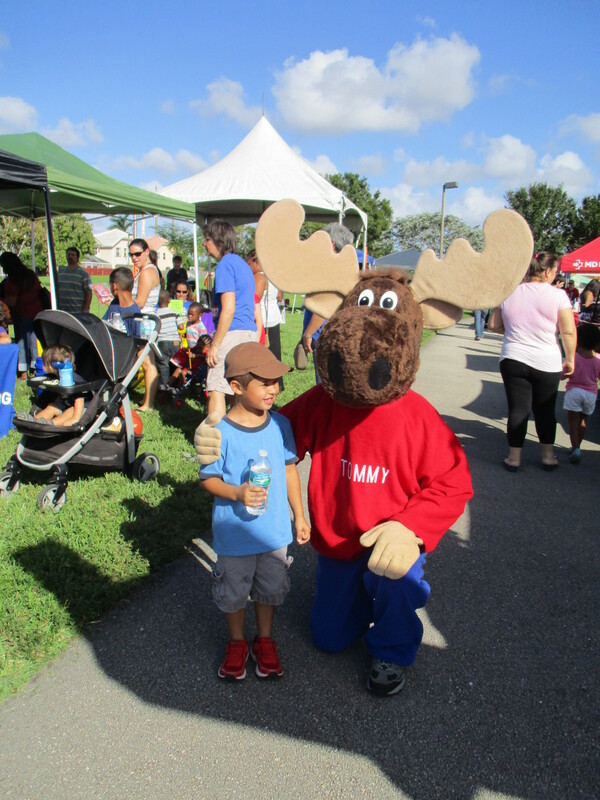 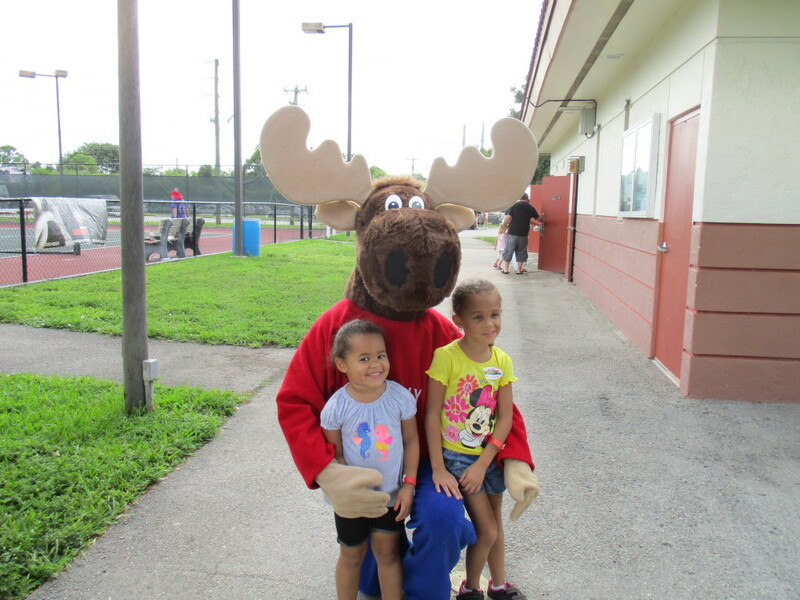 Our Tommy Moose makes appearances ay community events around Broward County plus he has been known to visit other moose lodges and events around the state of Florida if asked. 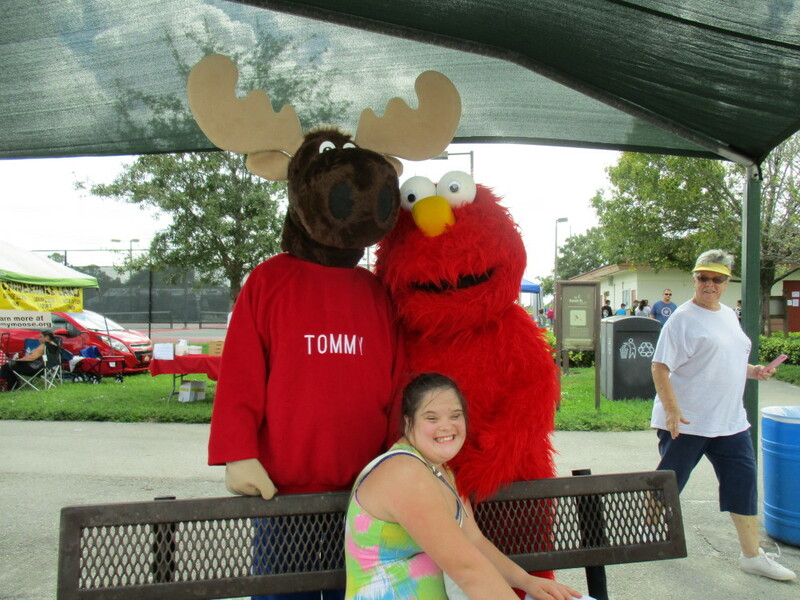 As you can see from some of our pictures he brings smiles to everyone he meets. 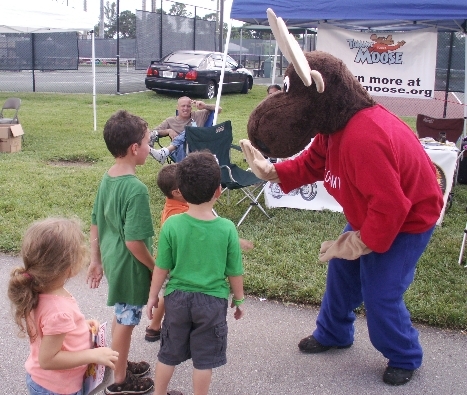 If you want to learn more click on the Program Link for Moose International’s Tommy Moose website.